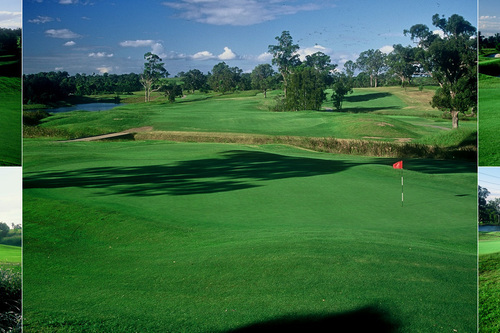 The course suits players of all different skills and is ranked the 14th best course in NSW. Pot bunkers, perched greens and undulations along the fairways, give it a links style feel. Lakeside offers members and guests with a Three P's Ristorante, serving Pizza, Pasta and Parma. With a driving range and putting green, players are able to practice and warm up. Over recent years the course has gone under a lot of renovations including new greens, new holes and a new irrigation system.